The acute kidney injury (AKI) observed during sepsis is due to an uncontrolled release of inflammatory mediators. Septic patients develop electrolytic disturbances and one of the most important is ionized hypocalcemia. AKI adversely affects the function of other organs and hypocalcemia is associated with cardiovascular and respiratory dysfunctions. Since carotid body chemoreceptors modulate the systemic inflammatory response during sepsis syndromes, we used pentobarbitone-anesthetized male Sprague–Dawley rats in control condition (SHAM surgery) and after bilateral carotid neurotomy (carotid chemo/baro-denervated, BCN). We evaluate serum creatinine (CRE), serum neutrophil gelatinase-associated lipocaline (NGAL), ionized calcium (iCa) and cardiac Troponin I (cTnI) 90 min after the IP administration of 15 mg/kg lipopolysaccharide (LPS) or saline. In the SHAM group, LPS failed to induce significant changes CRE, NGAL, or iCa, and increased cTnI. Conversely, in the BCN group LPS increased CRE and NGAL, decreased iCa, and enhanced the increase of cTnI. 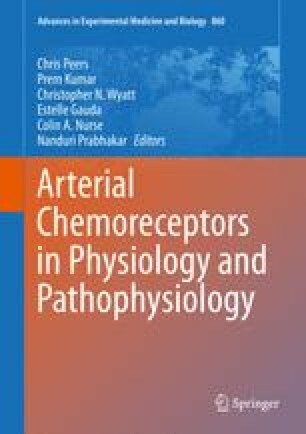 Our results suggest that carotid chemo/baro-receptors might contribute to the regulation of both renal function and calcemia during sepsis. In addition, results imply that the carotid chemo-baroreceptors serve as an immunosensory organ. Supported by FONDECYT 1120976 and UNAB DI-354-13/R (to RF), and UDD CI 23400098 (to EPR).